It’s morning somewhere right? 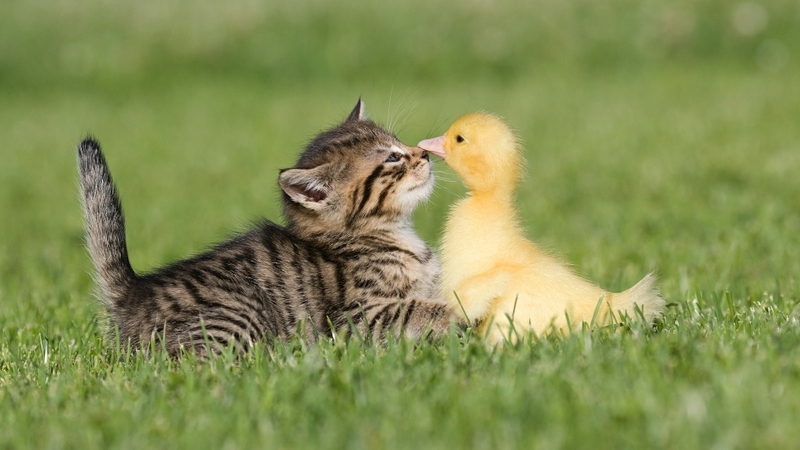 With military action possibly pending in Syria amidst a horrible ongoing civil war, I needed a more hopeful photo to accompany this post of news links (hence the duck and the kitten). But, the news out there is pretty grim so here are some links on Syria, the links between drought and the war in Syria, climate change and violence, and what happened to Al Gore on climate change. Under these circumstances, Obama has been risk-averse not because he’s flawed, morally obtuse, weak, or traumatized. It’s because he sees no real options and refuses to buy into the happy talk about this terrific military option or that. We couldn’t fix Iraq with hundreds of thousands of boots on the ground and trillions expended; and we can’t fix Syria from the air. The president knows this, and that going to Congress and making it a partner and party to the uncertainties of the Syria situation will help distribute some of the risk of limited action. If strikes go badly, Obama will take the hit. But it would be much worse if he plunged ahead without public or congressional support. The US has no vital interests at stake in the outcome of a brutal struggle between Sunni Jihadists and Alawite thugs. None. EK: Do you think striking Syria is necessary to uphold the norms against chemical weapons? RP: I’m a bit skeptical. This immense explosion of outrage and horror around this episode wouldn’t leave a future user of chemical weapons thinking they could just go ahead. It’s a very high-cost thing with a very real risk. And it’s not as if there are 40 states out there waiting to use these weapons. In a paper published this month in the journal Science, we assembled 60 of the best studies on this topic from fields as diverse as archaeology, criminology, economics, geography, history, political science and psychology….We found that higher temperatures and extreme rainfall led to large increases in conflict: for each one standard deviation change in climate toward warmer temperatures or more extreme rainfall, the median effect was a 14 percent increase in conflict between groups, and a 4 percent increase in conflict between individuals. The numbers, according to a review of the nonprofit’s tax filings, show the change has been severe. In 2009, at its peak, Gore’s group had more than 300 employees, with 40 field offices across 28 states, and a serious war chest….Today, the group has just over 30 people on staff and has abandoned its on-the-ground presence — all of its field offices have since shut down — in favor of a far cheaper digital advocacy plan run out of Washington. See how the topic just morphed into coverage of climate change, funny how I did that.